After exploring mythology and the concept of the monomyth, students will create an eBook identifying and explaining the events in the hero's journey in a text they are reading. While these tales may seem different, author Joseph Campbell claims they are all variations of the same story! In his 1949 book, The Hero with a Thousand Faces, Campbell outlines the monomyth, or archetypal journey, that all of these stories follow. In this project, you will learn the stages of the archetypal hero’s journey and decide for yourself if a story you are reading follows this cycle. Begin this project by asking your students to brainstorm a list of heroes. Let them know that comic book superheroes, movie heroes, and famous people from history are acceptable options. Have students give a brief summary for each hero so that students who aren't familiar with this person or character have some information and background. Discuss the qualities of a hero. What makes them heroic? Their character traits? The things that happen to them? How they respond to those events? All of the above? Ask students if they can identify similarities between different heroes on the list. The hero cycle is prominent in Greek mythology. Choose a hero like Hercules, Jason, Odysseus, Perseus, or Theseus and walk students through the journey they took, identifying the various stages. Many of these heroes are referenced in popular literature and entertainment. As you explore the cycle, ask students to reflect on these modern connections. Share Matthew Winkler's great TED-Ed video, What makes a hero? Then, watch a modern movie and work as a class to determine how it follows the monomyth. You can take your inspiration from completed analyses of movies like Shrek, or start from scratch. Here are some popular choices for a variety of ages and backgrounds. Introduce the first part of the cycle and have the students identify the major areas of the story that show the cycle. You may want to model strategies for close reading as you explore a written myth or sample together. Now it's time for students to practice close reading and identify the hero's journey in a different story. Give students a list of books they can read to analyze for the use of the monomyth. 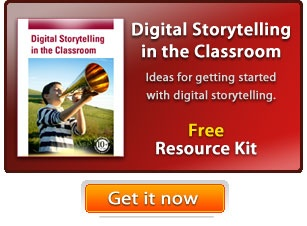 Assign individual students a story, depending on their reading and maturity level. Here are a few examples at different reading levels, and you can find more titles with an online search like "hero's journey book list." If you are using Share, students can use the Hero's Journey template to define each stage and identify it using examples from the text. They can add photos, images, and drawings to illustrate the event and record audio to summarize events. In addition to having conversations as they are working, have students turn in the first draft as a formative assessment you can use to gauge understanding and monitor progress. If several students are reading the same book, have them share their work in small literature circles and discuss how they identified the stages. Allow students to revise and edit their work before turning in a second draft. To create an opportunity to build comprehension and narrative writing skills, ask students make a new file in Share and write journal entries from the hero's perspective at each stage of the cycle. Encourage them to draw a scene of the event, including simple path animation if desired, and then record their voice as they share details of the events. Have students publish their journal as an ePub file and share it using a service like iTunes or Dropbox. If you don’t have ready access to eReaders, you can also export work to PDF for easy sharing. Have students present their findings to the rest of the class or with a partner. You might also have them present their work to another class to teach other students about the hero’s journey. Begin by evaluating student ideas as you work to list heroes and identify similarities between them. Examine students' analyses of a hero's journey to determine their comprehension of the big ideas as well as their skill at close reading of a text. Have they been able to identify a scene or passage specific to each stage in the cycle? If not, have they made an argument why a stage isn't evident? Their journal entries will also help you assess comprehension and narrative writing. 3. Describe how a particular story’s or drama’s plot unfolds in a series of episodes as well as how the characters respond or change as the plot moves toward a resolution. 5. Include multimedia components (e.g., graphics, images, music, sound) and visual displays in presentations to clarify information. 3. Write narratives to develop real or imagined experiences or events using effective technique, relevant descriptive details, and well-structured event sequences.